gallon per hour for each nozzle) and are constructed and installed to last for years. By pressurizing water up to 1000 psi and forcing it through a specially designed mist system nozzle, billions of tiny water droplets can be created. Each droplet is smaller than the size of a grain of salt and are so light they actually suspend themselves in the air. As the water evaporates, it produces cooling up to 30 degrees Fahrenheit making it a very effective method of outdoor cooling. If the droplets are enclosed in an area such as a greenhouse, humidity levels up to 100% may be achieved. Because the droplets are so small, they have the ability to remove small particles from the air making fog systems a very effective method of dust and odor control. 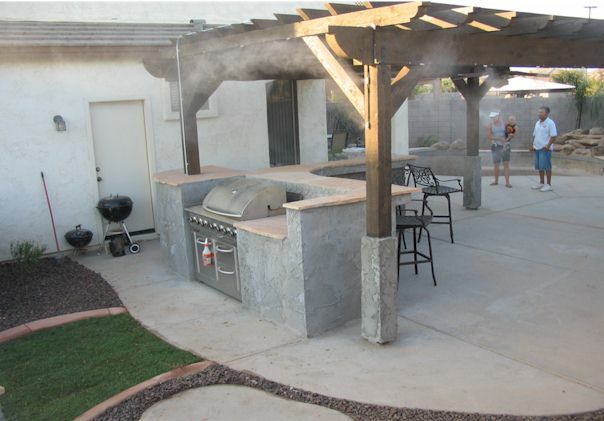 Patio Misting Systems can be used within your landscape (mist-scaping) or a fog effect can be created in a pool water feature (Fog Deck). The key to the full effect is in the pump, high-quality materials, and regular maintenance. 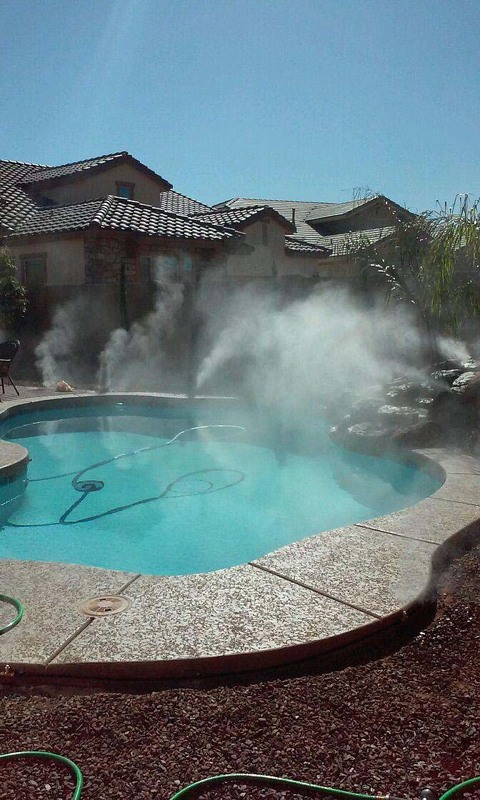 Give us a call for your misting system. We are an authorized Fogco dealer.